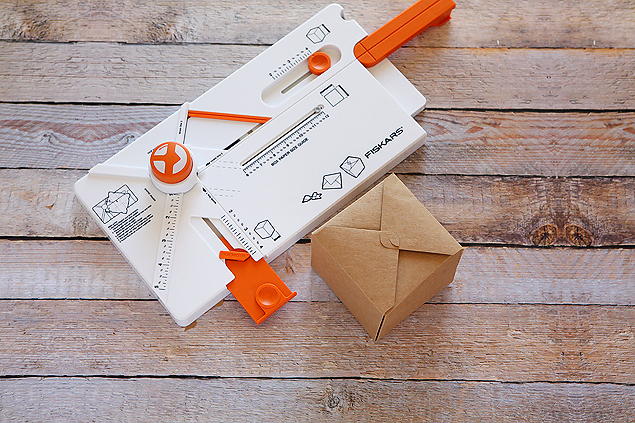 We are excited to be teaming up with one of our favorite companies today, Fiskars! They have a fun gadget called the Gifting Board and it is pretty darn cool. 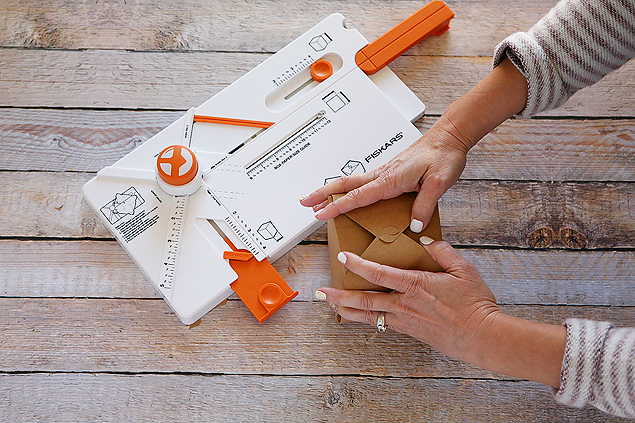 You can easily make envelopes, paper bows and boxes! Jen and I were baffled that someone could come up with a tool this thought out and amazing. 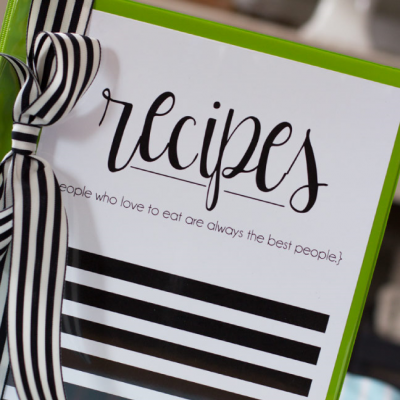 Just wait and see how easy it is to use, we whipped up these fun Christmas Treat Gift Boxes in no time!! 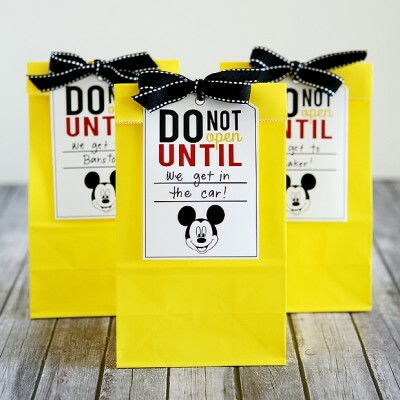 We love the idea of making any treat or gift extra cute with some special packaging. With the Gifting Board, the possibilities are pretty much endless. 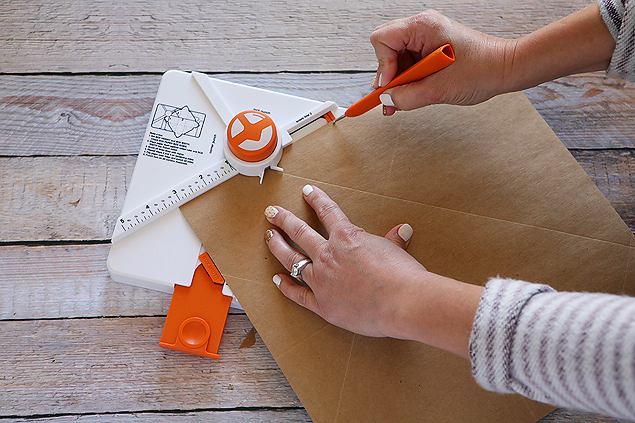 We decided to use some Kraft cardstock to make our box with but you could use any color or pattern. 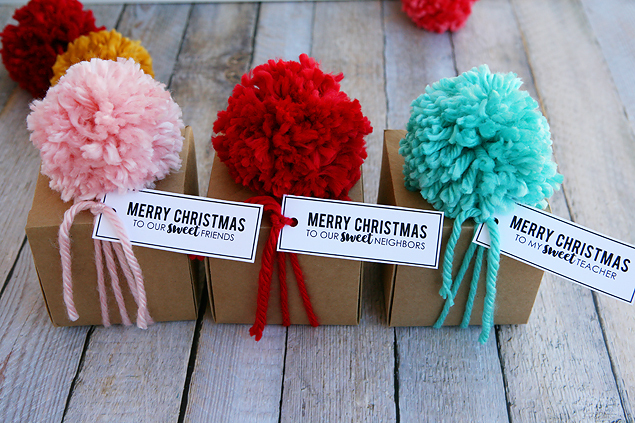 Top it by making a paper bow, seal it with a cute sticker or whip up a pom pom like we did. The Gifting Board is so simple to use. 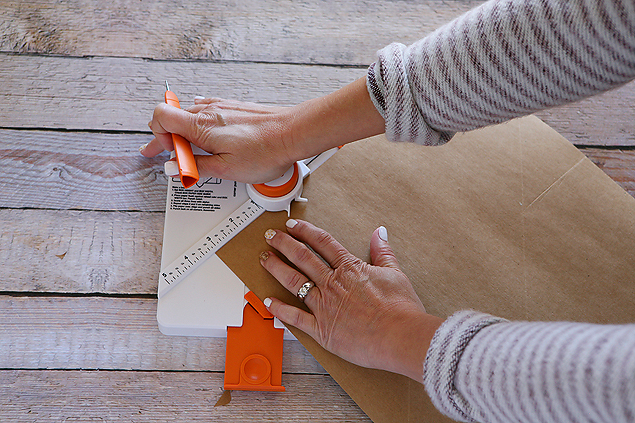 There’s really just 6 steps that are labeled for you on the tool and in a few minutes, you’ll have a box. It even figures out all the measurements for you so that brain of yours can take a break. You can make boxes as small as 2 x 2 and as big as 4×4 which is what we did. 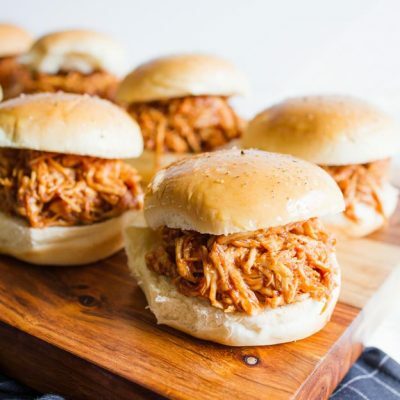 They are the perfect size for a cupcake, a muffin, some homemade cookies or candy. 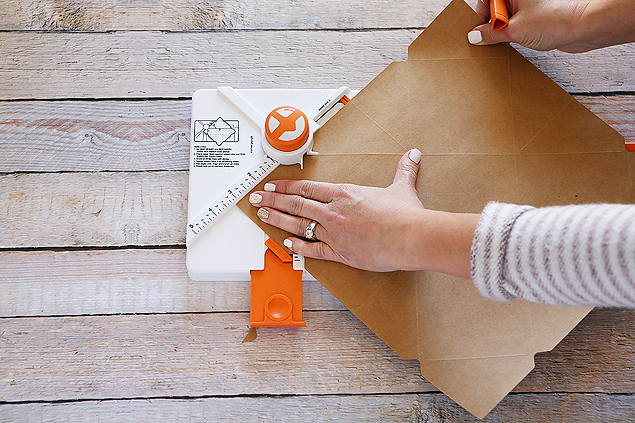 Set what size box you want to make and follow the guides. You’ll punch and score the paper on each side first. Then the paper gets flipped over and you notch out the other sides. Then there’s another spot for you to punch out the lock on each corner . It’s so cool how all the tools are included on the one board. Every part does something a little different. 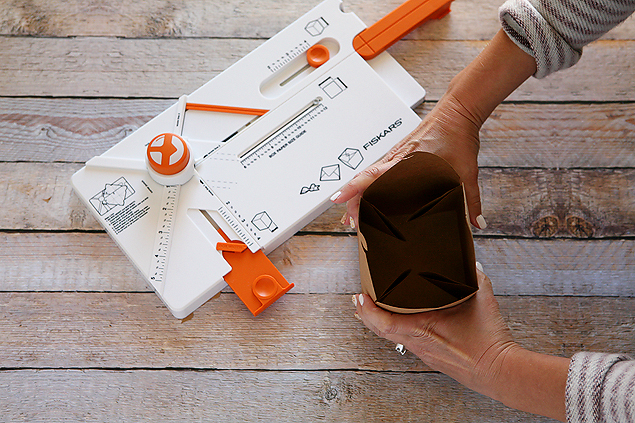 Fold up your box. We taped down the “folds” to the side of the box on the inside. We are pom pom fools and got a little crazy. Can you blame us with those fun colors? 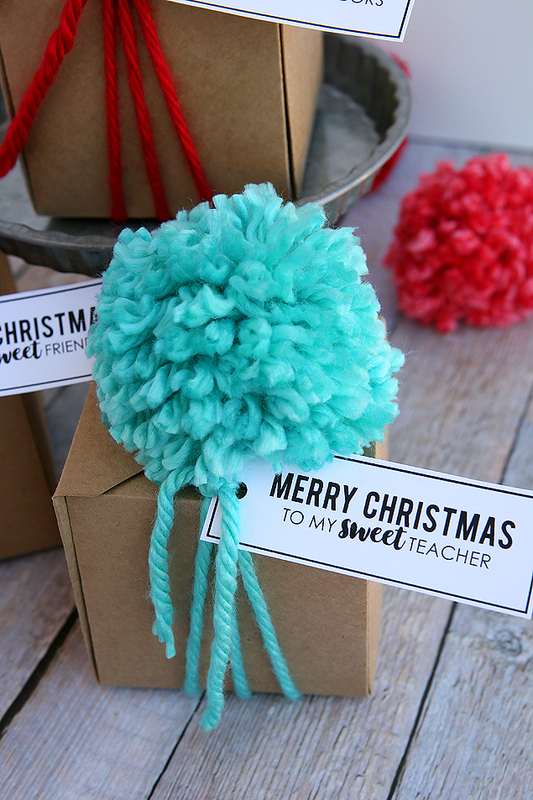 We picked out some chunky yarn and got to making some pom pom toppers. 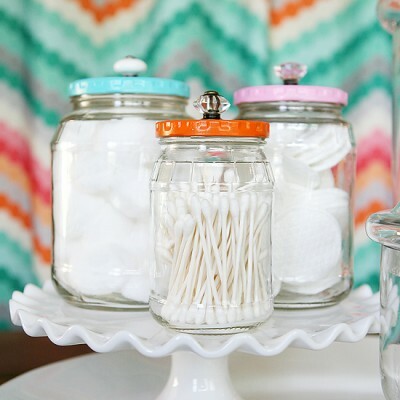 Check out this post if you’ve never made pom poms before. 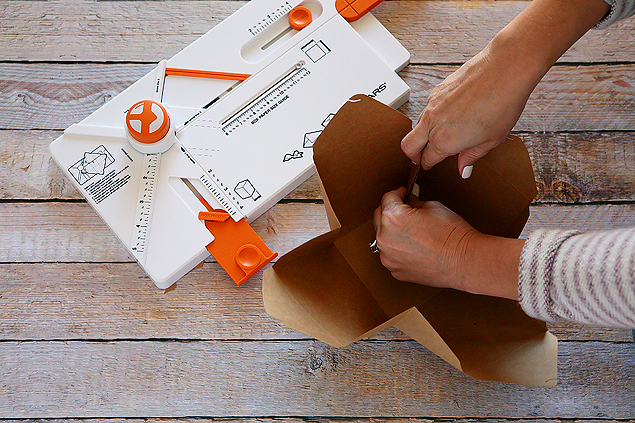 Once you have your box filled with something ‘sweet’ for your ‘sweet’ teacher, friends or neighbors. Close it up and dress it up. 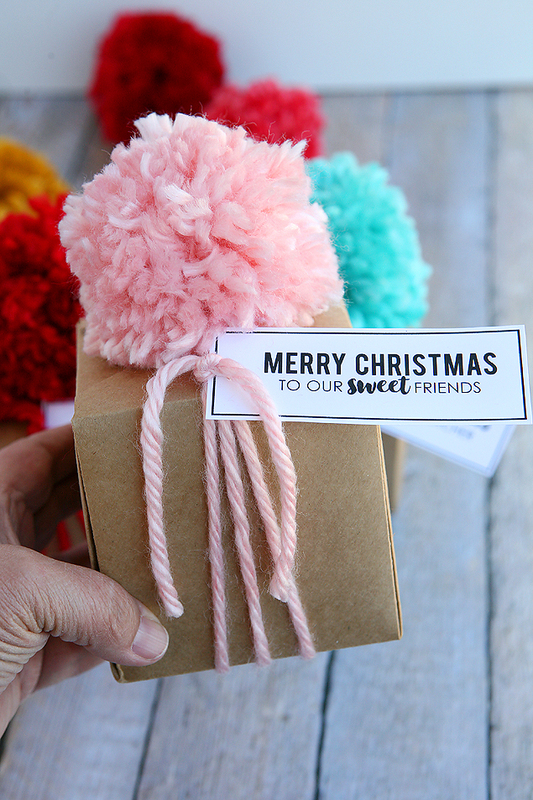 We added a simple tag and in a snap you have a fun Christmas gift box. Download the tag, print and cut them out. 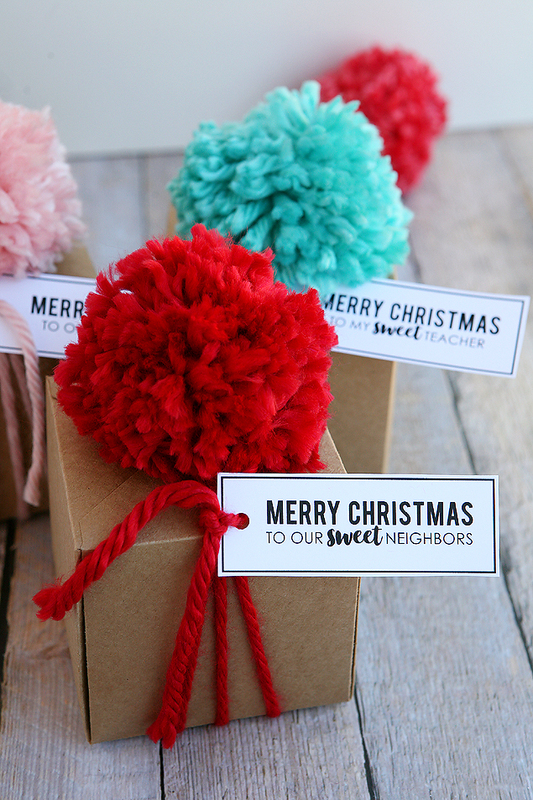 We hole punched them and attached them and the pom pom with the yarn. 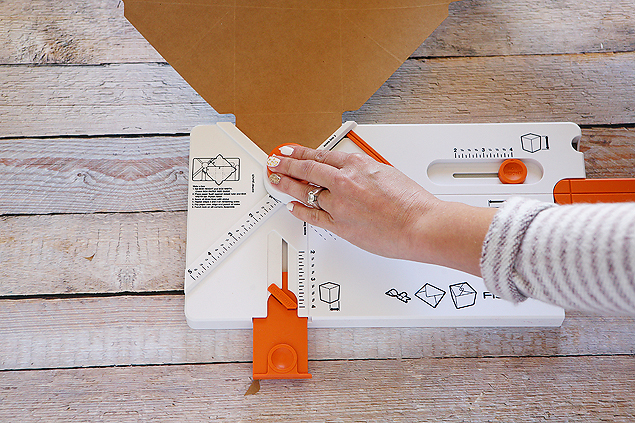 Happy box making! 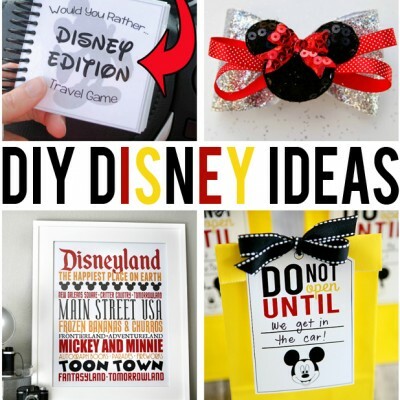 We are sure you’ll have a blast making them and even more fun passing them out. 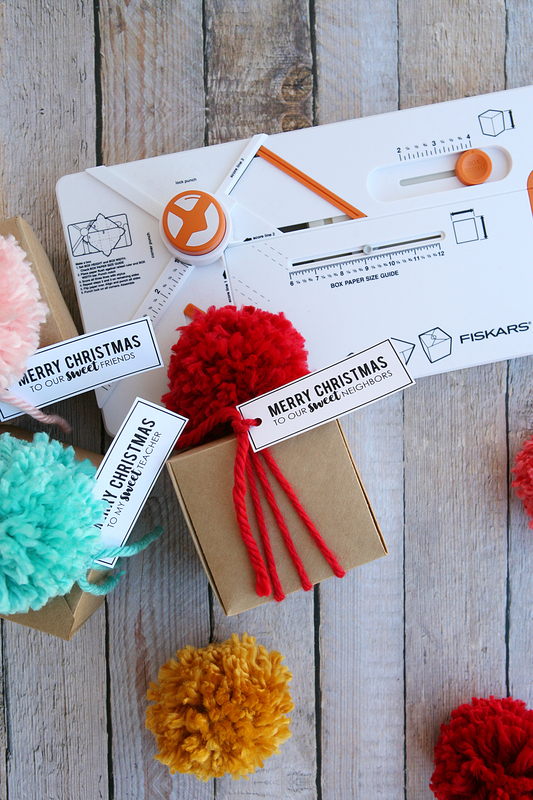 This post is sponsored by Fiskars, all opinion are my own. 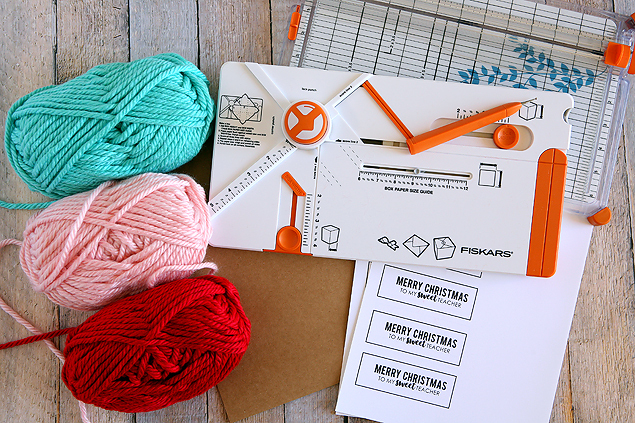 Hi I’m just wondering if you have a printable for the tag Spicing up Christmas? The one with the jar of salsa. I absolutely love it! 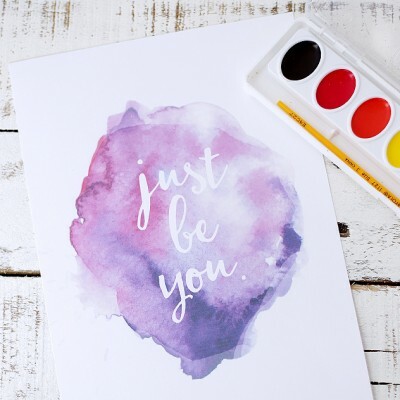 You’re so creative.